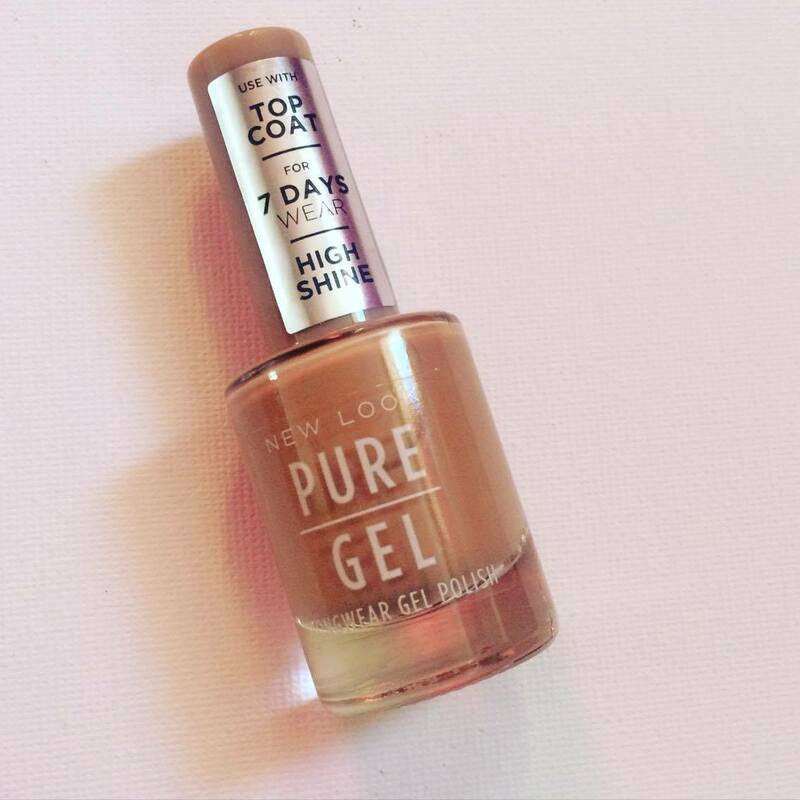 I picked up this Pure Colour Gel Stone Nail Polish (£4) on a whim while rooting through New Look and wanted to share my thoughts on it. 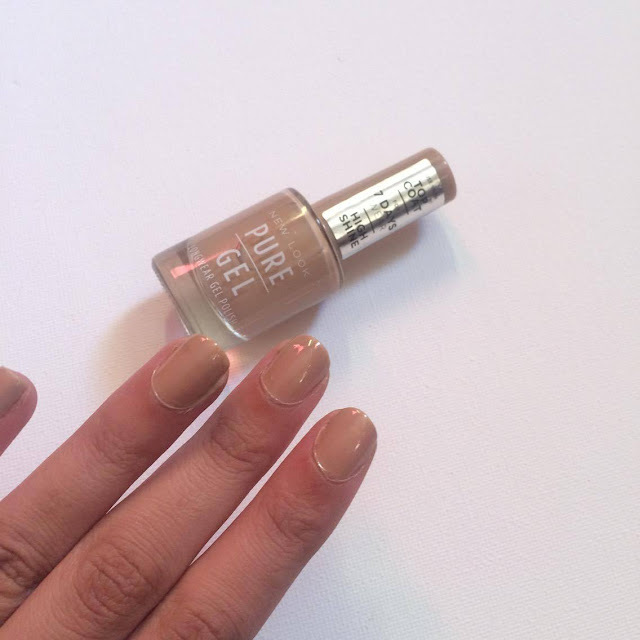 The colour I got, at least according to the bottle is called Biscuit, but for some reason I can't find this online. It looks very similar, and might actually be, to Stone. Essentially, my thoughts on this nail polish is it is not worth it. I really like the colour, but the brush isn't great. I like my brushes to be a little wider for easier, faster application and the "gel finish" comes across as looking quite sticky. There are definitely better formulas available, so save your money people. Might be worth mentioning that I don't use a base coat or a top coat, it's just too much work for me, although it does say to use with a top coat for seven days wear. I can't attest to this. Normally, a nail polish will last for about two-three days without chipping too badly, in spite of me not wearing a top coat or a base coat, but this didn't last very long at all. Thank you for reading, this was a very short post but I thought it might be of interest to some people. Please let me know what brands for nail varnishes you swear by in the comments below, I love most from Collection, Revlon and Essie. I am curious to try the Sally Hansen range too, so if you have tried that please inform me of your thoughts on it in the comments below. Take care. What is your go-to nail colour/mani? Thank you Livia, I am so glad you liked it in spite (or because) of it being a little negative. Nice review. I think Makeup Revolution have brought out something similar recently. I really do like the colour I have to say, and I will probably use it again but I wouldn't repurchase. I like the finish of the Barry M Gelly Paints much better. Thanks for sharing, I will have to check them out! Great review! Love it so much! Thank you, it's not the worst but it's not the best either. My go to colour is burgundy, this color suits you very well! Hello, I'm Kiran, the chronically sleep-deprived girl behind ALittleKiran. I hope you like my blog. Thank you so much for stopping by. For business enquiries you can reach me at: alittlekiran@gmail.com. I aim to respond to all emails within 48 hours. © ALITTLEKIRAN. All rights reserved.